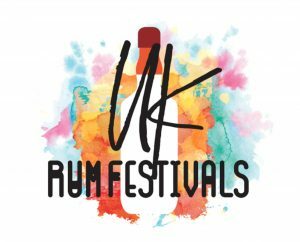 UK Rum Festivals are coming to Cardiff! On the Saturday 5th August 2016 the UK Rum Festivals, now in their 5th year, are bringing their renowned Rum extravaganza to our wonderful city! We’re thrilled to announce that the Cardiff Rum Festival will be taking place at the SSE Swalec Stadium Cardiff from 12noon until 7pm. With over 100 different Rums on offer, there’s something for Rum experts and novices alike to enjoy. With the opportunity to take your favourite Rum home on the day, not only will there be free samples of every Rum but there will also be a range of delicious Rum cocktails to suit everyone’s Rum tastes! Whilst the Rum is the star of the show, there will also be plenty of other fun things to enjoy while you sip your fresh Bajan Daiquiri. Bring your friends down and enjoy the atmosphere of the Caribbean with a Rum cocktail in your hand. With the Steel Drums playing, people dancing, polaroid photo frames, inflatables and beach inspired chill out area you’ll be forgiven for thinking you’re in Barbados! Aside from the incredible selection of Rums there will also be a selection of street food to soak up your liquid lunch! With the traders yet to be announced, there’s so much to be excited about regarding the Cardiff Rum Festival. There truly is something for everyone, so don’t miss out on a brilliant day of Rum appreciation in Cardiff’s capital city. Whether you want to expand your Rum tastes or just enjoy a refreshing cocktail in a buzzing atmosphere, we will see you there! Tickets are £22.50 and which includes all the rum samples you could possible want! This is an amazing opportunity to try up to 100 individual Rums, what’s not to love?! With more than half the tickets already sold, now’s the time to get yours sorted!